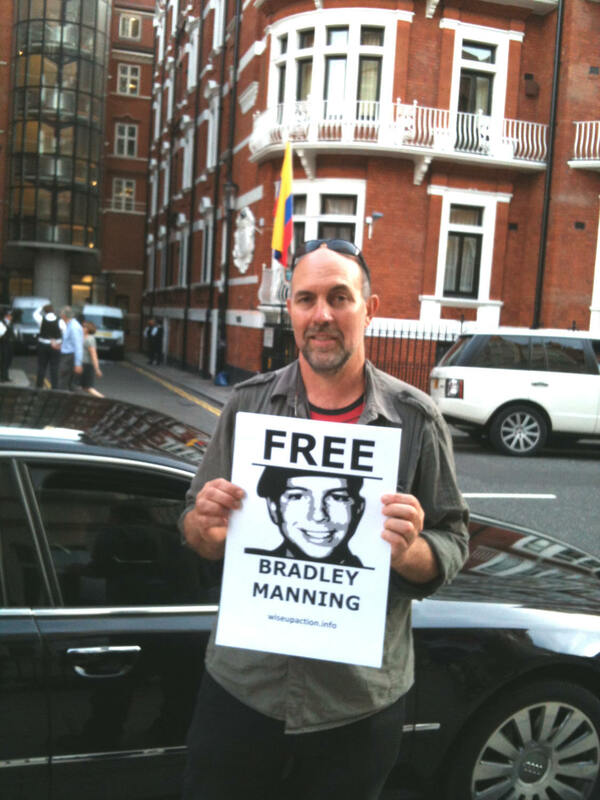 On Thursday 6th September a small group were present at the embassy vigil showing support for Bradley Manning while multiple events were taking place across the US and the rest of the world. 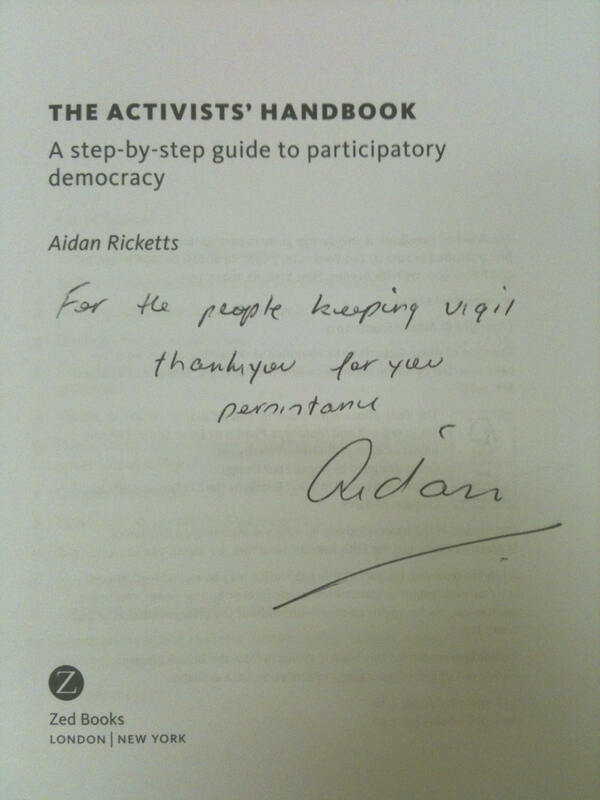 As things were winding down, Australian activist, academic and writer Aidan Ricketts dropped by to show support and kindly donated a signed copy of his book The Activists’ Handbook to the group. Aidan commented that he had visited the vigil previously, just before the barriered space had been removed, and wanted to drop by again before he returned to Australia. 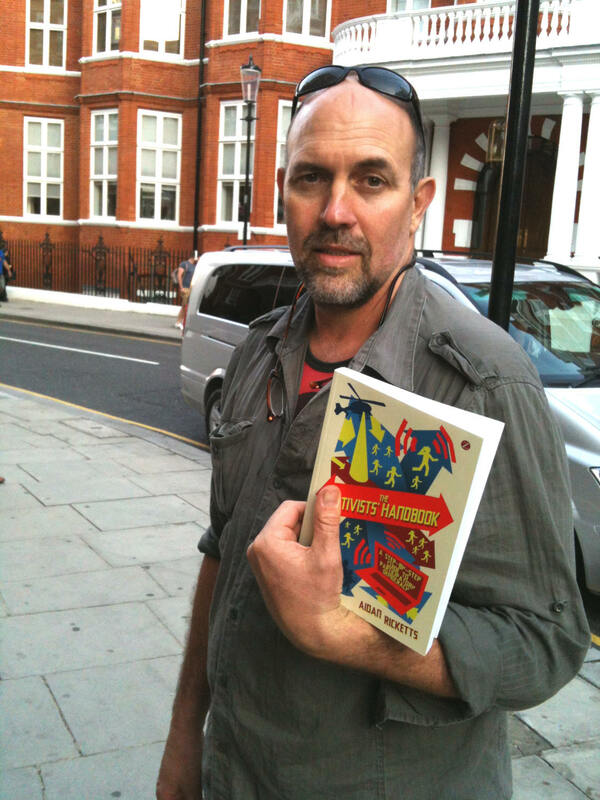 He wished that the book be shared as a resource, available to all participating in the on-going vigil, and offered good wishes for the action. Many thanks to Aidan for his support and kind gesture! As well as demonstrating visible support to Julian, the vigil continues to offer a great opportunity to meet and interact with a diverse range of people. Having clear, interesting banners and signs assists greatly in generating discussions with passers-by. Yesterday alone, groups and individuals from Canada, Bahrain, the US and many British residents came over to talk and were given information about Brad and Julian. It’s great to hear differing perspectives from around the world and also to be able to share factual information with those who express interest in the issues raised. 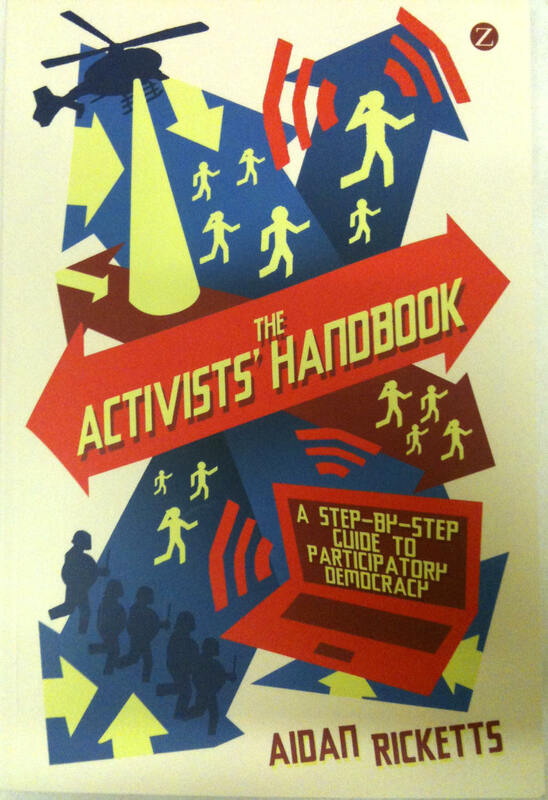 Gallery | This entry was posted in Assange, Manning, Reports and tagged Aidan Ricketts, anti-militarism, anti-war, Australia, Bradley Manning, Britain, Ecuadorian Embassy, Julian Assange, solidarity, The Activist's Handbook, vigil. Bookmark the permalink.